Are you using the right core reading program for your students? 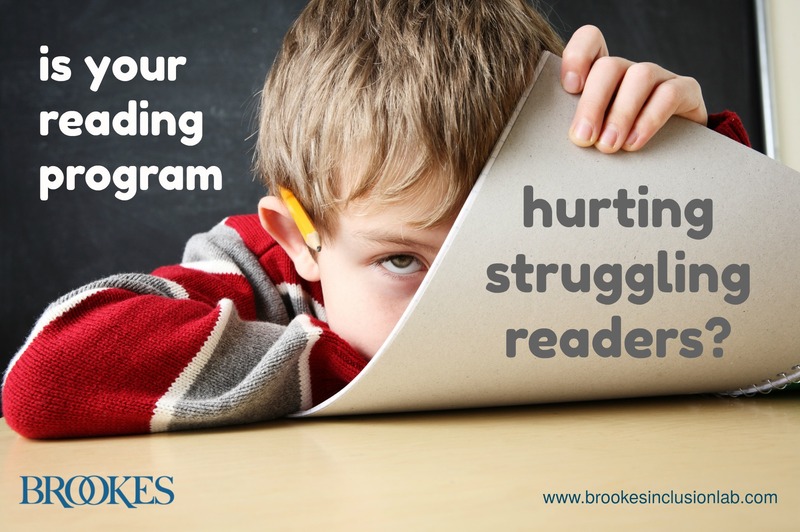 Even if the program you’ve chosen seems like a good fit, there can be trouble spots within it that can present obstacles for the struggling readers in your classroom. Today’s post points to five common trouble spots, excerpted and adapted from Susan Smartt & Deborah Glaser’s book Next STEPS in Literacy Instruction. Keep an eye out for these flaws and how they affect your students, and adjust your instruction to address any issues. To improve their literacy skills, struggling learners need a clear, direct instruction with lots of hands-on opportunities to practice the steps involved in learning a new skill. Make sure your program provides both explicit instruction and many chances for practice and application. Offering your students plenty of opportunities to work with partners or in small groups is a great way to help them practice new skills. Many of your students—especially English language learners—may not understand positional words like first and last or comparison words like same and different. Consider your students’ differing language skills when you’re selecting the words you use to describe new concepts and strategies. Make sure your sentences are direct and simple, and demonstrate whenever you can to enhance understanding. When you’re done introducing a concept, ask your students to retell what they heard in their own words. Before you choose your core reading program, avoid trouble spots like these by becoming an informed consumer. Ask yourself if the reading program was developed for a student population similar to yours, and what modifications you might need to make so all students can benefit from the program and learn the content. Making the right choice—and making any adjustments to the program you do choose—is the first step toward helping every learner become a skillful and motivated reader. By Susan M. Smartt, Ph.D., & Deborah R. Glaser, Ed.D. Bridge the gap between literacy assessment and effective intervention with this must-have teaching guide for K-6 educators. Perfect for use with RTI, it directly links the indicators on today’s popular assessments with proven interventions for struggling readers.